On Saturday, 25 & Sunday, 26 February 2017, I had the pleasure of working with some very talented Graffiti Artists. Feste, Phibs and Pudl, who are the most talented artist I've ever seen, gave me the privilege of adding a piece to their wall. With the help of Feste and Phibs, they helped me with my graffiti piece. It's amazing to see the neighbour-hood bond over their local street murals. Many appreciating the talents and hard work going into creating such grand pieces of artwork. The graffiti community has come a long way and they deserve our recognition. My graff style is 'public' and my tag name is "Nina". I have so much to learn and they have all inspired me to practice and keep learning. All the politics aside, it's a relief to know that there are artists out there who are willing to teach and share their wisdom. 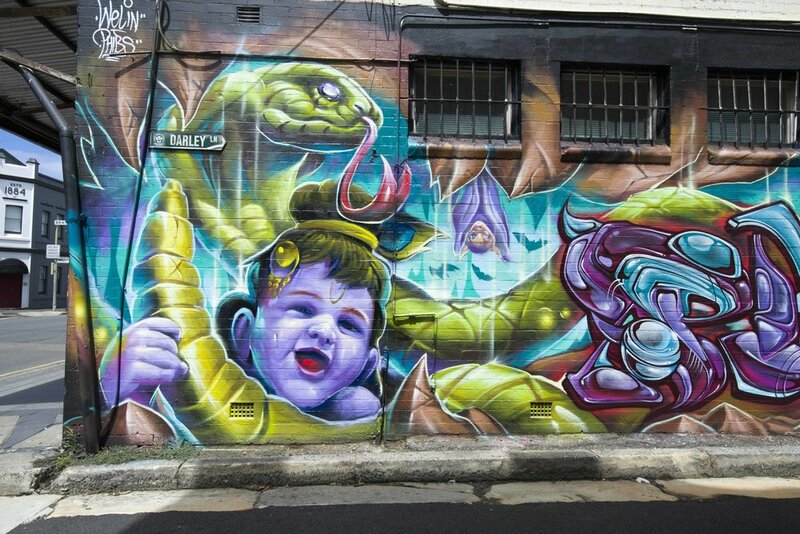 If you're around Newtown, take a walk down to Darley Lane and check it out.